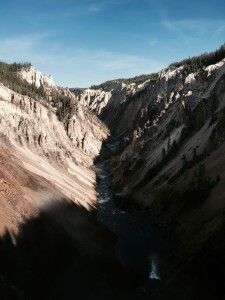 WEST YELLOWSTONE, Mont.—As the water cascaded hundreds of feet down the canyon all I could do was stand there in awe. While the crushing of the water echoed throughout, a grand sense of relaxation came over me. Visitors from all around stood along the railings taking photos and embracing the nature our beautiful country as to offer. 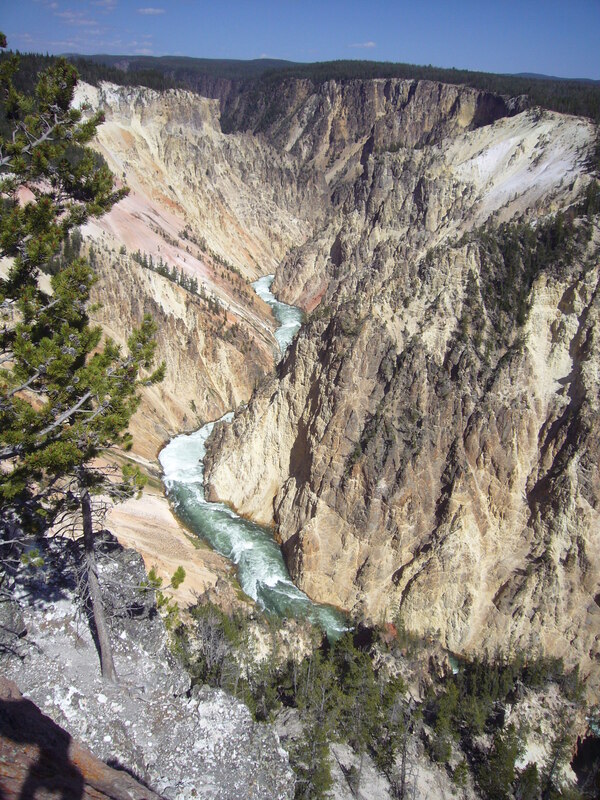 This was the Grand Canyon of Yellowstone National Park and I was amazed by what I saw. 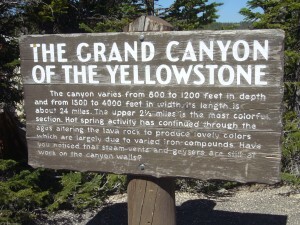 Entrance sign to the Grand Canyon of the Yellowstone River (Photo by Melissa Soto). Yellowstone Park Ranger Amy Bartlett shed some light on these stunning falls. “When people think of Yellowstone, Old Faithful is their go to. The next thing on their list is the Grand Canyon,” said Bartlett, the park’s spokesperson. Yellowstone National Park is America’s oldest national park. Established on March 1, 1872, Yellowstone is home to more than 60 mammals, dozens of hikes and picturesque views. Around 640,000 years ago, a massive volcanic eruption took place in Yellowstone which cleared out an underground chamber of molten rock, commonly known as magma. As the chamber collapsed, volcanic remains spread for thousands of miles and created a caldera around 30 miles wide and 45 miles long. This massive caldera progressively filled up with lava. As time progressed, water caused the lava to deteriorate and erode which created the river channel. 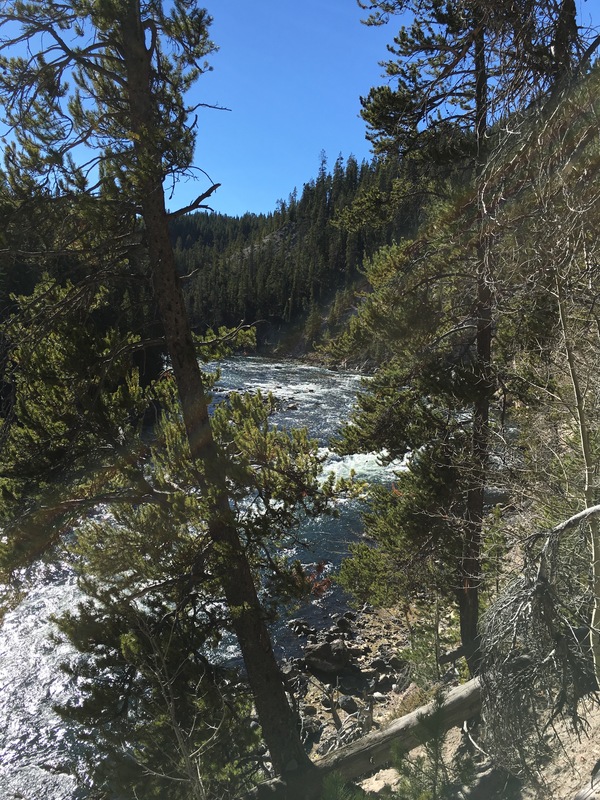 The Yellowstone River in the Grand Canyon of the Yellowstone (Photo by Melissa Soto). The Grand Canyon of the Yellowstone, which is made up of the Lower and Upper Falls, is the second most popular tourist location in the park. This section of Yellowstone truly exemplifies the geological diversity of this park. With its different shapes and shades of colors, this spot will leave you speechless. To get to the Lower Falls lookout, I walked down a zig-zagged cement path for almost one mile. As I reached the end of the path, I felt so small standing next to the gigantic pine trees along the river. A total of 309 feet of water plummeting down at full force blocked out any other sounds that could’ve been around. Lower Falls was created between 13,000 and 14,000 years ago when lava flowed its way down the canyon. After reaching the bottom of the canyon, hydrothermal activity began taking place. For the sake of the falls, the lava located at the edge of the mountain did not erode. Hydrothermics did alter the lava and caused some of it to weaken. As Earth continued to evolve into the incredible work of art it is today, glaciers melted and contributed to the canyon’s current V-shape. The canyon’s mix of brown, orange and green were created by hydrothermally altered rhyolite and sediments. The salmon pink color that is also seen is a byproduct of iron oxidization in the rock. View of the Lower Falls canyon (Photo by Melissa Soto). These falls are twice the height of Niagara Falls and tend to be the most impressive during the spring. These is because the amount of water can be more than 12 times that of the fall flow. Towards the base of the falls, green and reds show through from the spray of the water. While the Earth has changed and will continue to advance, the activity within the waterfall such as wind, water, and the occasional earthquake will proceed to carve the canyon. Visitors alike crowded by the railings to watch the water fall in all its glory with wind and water blowing from all directions. Sara Smith, a mother visiting from Louisiana, was at the falls for her second time. “We first came here when my baby was two months old. As our family started to grow we had to take a short break from traveling. Now that my four children are older, I had to bring them all here,” said Smith. People of all ages were here admiring the Grand Canyon in all its beauty. Josh and Meagan, a young couple, were touring Yellowstone for the first time. “We are driving from Philadelphia to Los Angeles and had to stop at Yellowstone,” said Josh. Even though they didn’t plan on coming here, they thought it was too good to pass up. “As we were driving I looked up things to see in Yellowstone and The Grand Canyon quickly made its way up on my list because of the awesome waterfall,” said Meagan. The Grand Canyon of Yellowstone may not be the first choice for all visitors but once they hear about it they make sure not to miss out. Lower Falls of the Grand Canyon of the Yellowstone (Photo by Melissa Soto). With a variety of lookout sites such as Grandview Point, Lookout Point and the Brink of the Lower Falls, one will be completely emerged into this beautiful surrounding. This 1,000 feet-deep Canyon has more to offer than just the sights. Hikers come to the canyon for the trails. The North Rim offers a 2.5-mile hike on the North Rim Trail or a five-mile hike on the Glacier Boulder Trail. The Brink of the Lower Falls as a steep but short three-quarter mile trail leading to the up close views of the cascading water. After taking in the Grand Canyon of the Yellowstone and Old Faithful, the canyon instantaneously became first on my must see list. As the wind gushed and moved my hair all around I truly felt one with nature. This stop in Yellowstone National Park is a place worth seeing. 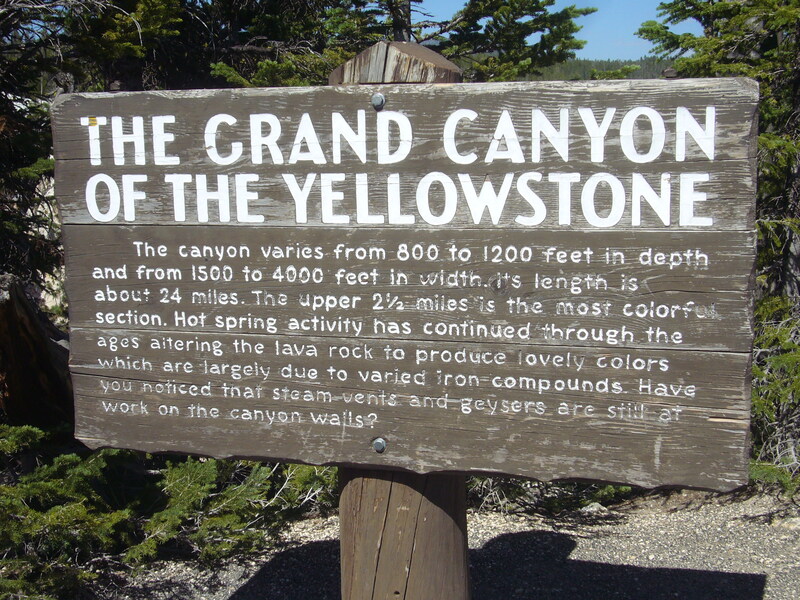 Yellowstone National Park is located in Wyoming, Montana and Idaho. Hours: Area can be visited 24 hours. seven days a week. Things to do: hiking, site seeing, driving, animal watching, walk through meadows and forests. Common walks and overlooks: Inspiration Point, Grand View, Brink of the Lower Falls, Brink of the Upper Falls, and North Rim Trail.